Make more space at your home or business with a Glacier West Self-Storage unit in Belfair, Washington. With units available in a variety of sizes, we have the ideal solution for your storage needs. Choose a ground-level, drive-up storage unit for the ultimate in convenience and accessibility. And with access available 7 days a week and electronic gated entry, it’s always easy to access your belongings anytime you need. Our facility includes 24-hour security monitoring using a digital surveillance system for your peace of mind. We invite you to visit our premier self storage facility and tour our clean, well-lit storage units today. Situated close to WA-3 and WA-106, Glacier West Self-Storage is your convenient self storage solution for Belfair, Washington. Whether you’re picking up your RV, vehicle or boat for a trip to Belfair State Park, getting in and out is always a breeze. And with Les Schwab and Local Wrench just up the road, making sure your rig is ready for the next big adventure is no problem. Visit our Unit Sizes & Prices page to find the right unit for you, and then stop on by. We look forward to meeting you. Glacier West Self-Storage offers the convenient use of our dollies and carts, which helps streamline the moving process. While you’re here, check out our competitively priced packing and moving supplies. Our facility includes wide driveways, which make it simply to navigate a moving truck or van right up to your storage unit, and we also offer U-Haul truck, van, and trailer rentals onsite. Month-to-month leases and online bill payment options make managing your storage rental easy, so you don’t have to worry about dropping off a check every month. 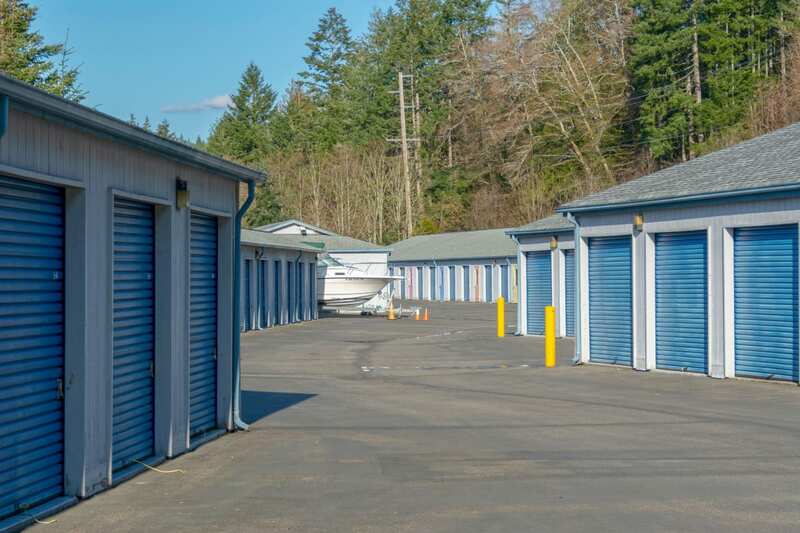 Visit our Features page to learn more about our self storage facility in Belfair, Washington.